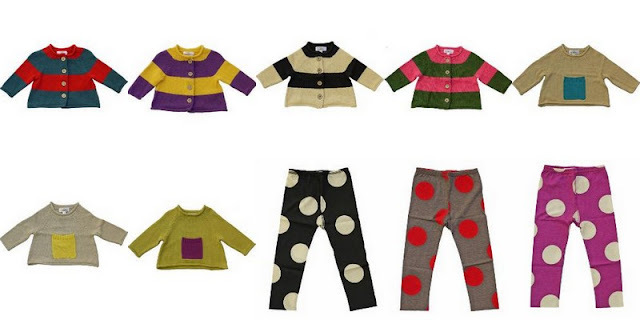 Right Bank Babies has some truly great pieces for babies through 6 year-olds... and these sweaters and leggings are some of the cutest kids' clothes I have seen recently. Such happy, imaginative colors! These are clothes made to match the innocence of childhood. No skulls and crossbones or mini teenager styles here. The Mini Social is having a Right Bank Babies blowout until January 2nd, and all of the items featured are between 50% and 60% off. Those perfect, perfect sweaters are $27 for the striped cardigan (normally $76) and $23 for the patch pocket pullover (normally $68). And I didn't even scratch the surface of sale styles in the images I chose above. 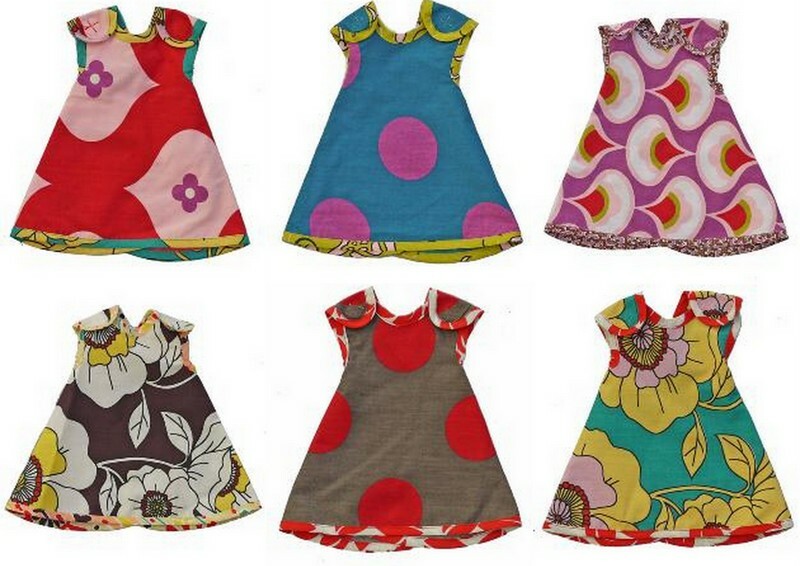 Have you been on the hunt for really great doll clothes you don't have to sew yourself? 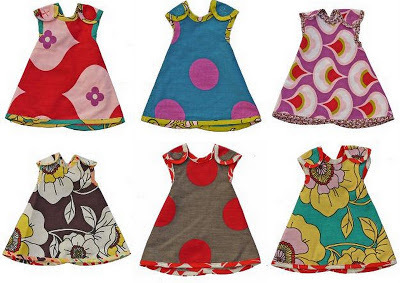 This sale also also includes a selection of reversible doll dresses for your favorite 18" doll that have been marked down from $24 to $10 dollars (see below). These just make me smile. Enjoy your Saturday!